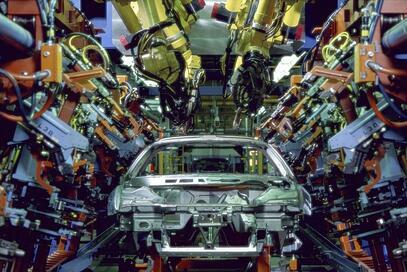 Do Machines Create a Greater Safety Risk for Employees? We've all seen at least one of the many movies out there in which humans develop robots that eventually try to take over the world and kill us all. While most of us joke about it, some conspiracy theorists go so far as to call it an inevitability as we continue to design increasingly more complex and intelligent machines. As the use of robotics becomes more and more prevalent we will hear about the occasional incident that causes quite the unnecessary uproar among the public, but should we actually fear these machines? The use of robotics in work sites such as manufacturing plants is changing the face of modern industry. As companies upgrade their operations with state-of-the-art technologies, workers are often replaced by automated machines that can more accurately and efficiently perform tasks, leaving them either unemployed or forced to find a new fit for themselves in the organization. One major shift for these individuals is the move from actually performing manufacturing tasks to installing, operating, and maintaining the robots that perform said tasks. This leads me to a tragic story coming out of Germany this past week. A 21-year-old employee at a Volkswagen (VW) plant near Kassel was killed while installing an automated robot on the production line. VW, like other auto manufacturers, keeps robots in safety cages to prevent accidental injuries to plant workers, but at the time of this incident the employee was working inside of the cage. While attempting to put the finishing touches on the installation, the employee was suddenly struck in the chest by the robot’s moving piece of equipment, and was pinned against a metal plate inside the safety cage. Despite efforts to resuscitate him, he unfortunately died hours later at a hospital due to his injuries. There is little detail yet as to what specifically caused this tragic incident, and an investigation is underway. However, a VW spokesman has released a statement saying that the robot did not experience a technical defect and that the incident was likely caused by human error. Although I was unable to access any policies to confirm this, the representative mentioned that employees are not allowed to work inside of robot safety cages while machines are powered on, which I speculate is an accurate remark. Of note, another employee was working alongside the victim but was outside of the cage at the time of the incident and was unharmed. As I read through many of the reports, articles, and comments about this story, I was quite taken aback by some of the reactions. There was a great deal of hysteria over robotics in the workplace, and people were making all sorts of outlandish claims not too far off base from the conspiracy theorists I mentioned earlier. However, the reality is that injuries involving automated robots like this are quite rare and usually the result of human error. In the case of this worker, if we think about the behaviors in the 4 Factor S.A.F.E.TM Model and we could view his individual SafetyDNATM Report, he may have scored lower on Following Rules or Exhibiting Caution, since he was working on the robot from inside the safety cage. It’s possible he might have had lower Awareness of Surroundings as well, since he wasn’t fully aware of his surroundings such that he was unprepared to avoid the moving equipment. This is a sad story, but it highlights the need for plant workers to follow established safety procedures and be extremely cautious while working with heavy equipment and automated machines. Robots are not out to get us; they do exactly what we design them to do and very rarely do harm to employees when they are properly operated and maintained. So the answer to my question is a resounding yes and no. Yes, we should have a healthy fear of the power these machines have, leading us to follow all safety guidelines and exhibit strong safety behaviors when working with them. No, we should not have an exaggerated fear of robots as unavoidable death traps. Remember - your employees’ personal safety is first and foremost their responsibilities.